Do you want to train in a practice area and not be forced to test for belts or learn things you’re not interested in? Then our Competition Team is perfect for you. 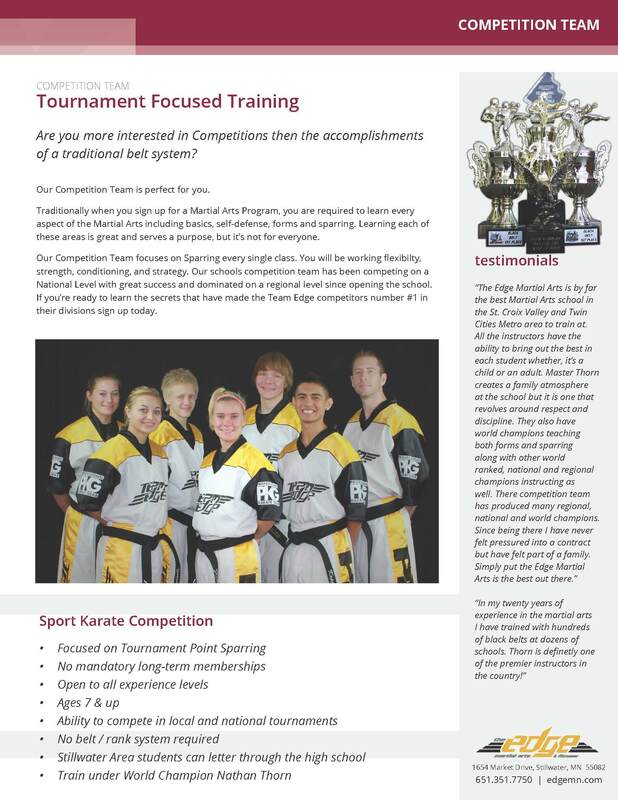 Traditionally when you sign up for a Martial Arts Program, you are required to learn every aspect of the Martial Arts including basics, self-defense, forms and sparring. Learning each of these areas is great and serves a purpose, but it’s not for everyone. 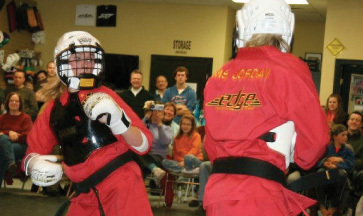 The purpose of our Sport Karate Program is to allow students to train and practice in the areas that they want to train in, and not be forced to test for belts. They don’t have to learn the curriculum that they are not enthusiastic about. Students are in classes with others at the same skill level, not the same belt color. If you are new to Martial Arts or a veteran, we have a class appropriate for your level of experience and ability.